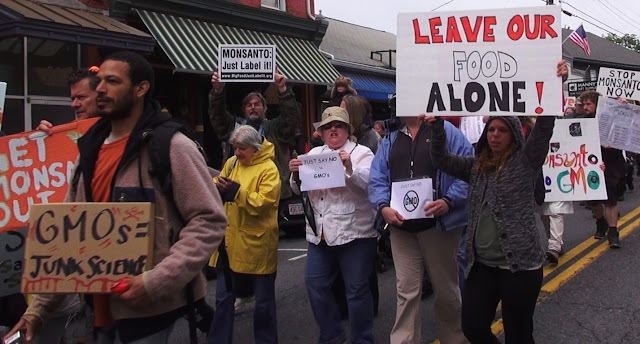 The whole world is waking up, rejecting the GM crops of Monsanto and others and demanding a safe, nontoxic food supply Consider these recent events. The largest, grassroots, global action against one company in history. 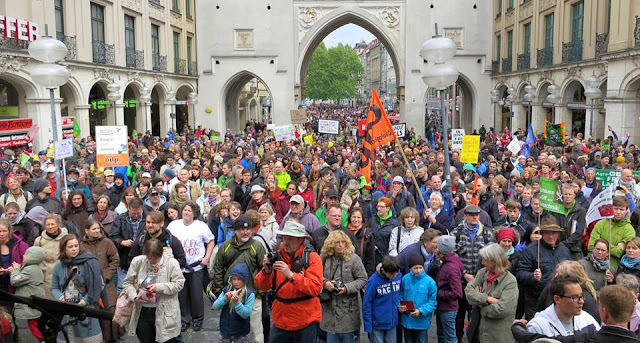 Two million people from nearly 500 cities in over 50 countries spanning six continents took to the streets to say no to GMOs and the poisoning of our food supply and our earth! . A New York Times article "Seeking Food Ingredients That Are Not Gene-Altered" reports food companies, big and small, are racing to find non-GM ingredients in face of consumer demand for GMO-free food. 3. May 30 - Uapproved GM Wheat Found in Oregon- Monsanto "Mystified"
This is terrible news for wheat farmers who stand to lose millions in exports, but it is also a screaming warning to all. It is obvious that Monsanto and other biotech firms have no control over their radical technology and contamination of conventional and organic crops is a very real threat. Monsanto last conducted open air field trials of GM wheat in Oregon in 2001, but it is showing up now. The Center for Food Safety and wheat farmers just announced a class action lawsuit against Monsanto. Monsanto currently carries out hundreds of other field trials- how many of them have gone rogue? Demand an end to open-air field testing! 4. May 31 - Monsanto gives up in Europe due to consumer rejection of GMOs! "The promises of GM industry have not come true for European agriculture, nor have they for the agriculture in developing and emerging economies," said the German Agriculture Ministry. Monsanto admitted intense opposition from consumers made it impractical to continue to lobby for more GM crops in Europe. "We haven't been able to make any progress over the years, and it's counter-productive to tilt against windmills," said a Monsanto spokesperson. The measure was approved in the state senate unanimously! It does have the caveat that 4 other states must also pass similar measures- but that can just provide momentum for NY and others to get on board. It is a great beginning. Thanks to Sen Jeff Merkley (D-OR) and the hundreds of thousands who have signed his petition and others, Sen Debbie Stabenow (D-MI) chair of the Agriculture Committee has pledged to oppose an extension of the Monsanto Protection Act without full debate. The measure was originally snuck into a must-pass spending resolution anonymously in the dark of night. These recent developments coupled with the failure of GM crops to increase yields, reduce pesticide use (it is up by over 400 million pounds due to the existence of super weeds and super bugs that GM crops create) the fact that GM proteins continue to exist and function in humans and a recent study that shows that the BT toxin in GM crops is toxic to mammalian blood - it is not hard to see- the handwriting is on the wall for Monsanto. Stay informed, keep up the pressure! Momentum is on our side.